I managed to get the yoke off, lots of heat and lots of grunting. I think penetrating oil is a waste of time, it really does not get into the threads and AvE did a video that pretty much proved that it doesn't help where threads are not exposed and thus don't get coated. What do you guys think, should this plate be replaced? One goal with this repair job is to get my draft control working again. 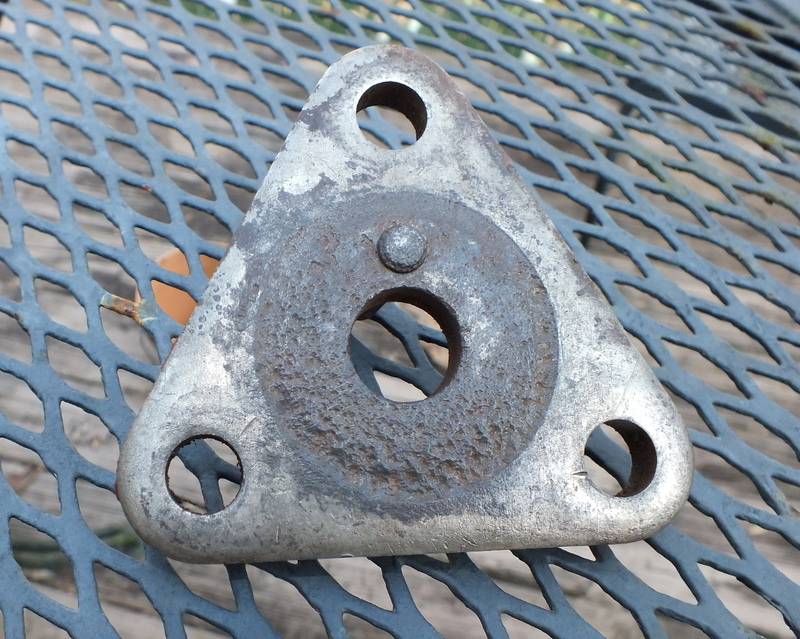 Since the yoke was so badly worn, I decided it was worth the effort to get this apart to make an inspection. The draft control rod is rather pitted on the bottom, must have gotten water in and stood for a bit. I neglected the Old Girl after Mum died; I got in a bad funk. Now I am trying to make up for that neglect. The pin does not have any bad wear that I can see. I rolled the rod on a flat surface and it does not appear bent to me. The draft control plunger is certainly useable. Who knows about the fork. One cannot tell if these are useable by visual inspection unless one has a known good one to compare side to side. Yes, I was reading Zane's guide to adjusting and he mentions possible bent but I had no idea. I guess I will find out when I put it back together. Thanks. That looks fine to me. I'd clean and re-use it. Hopefully you did not apply much torque to the yoke. Doing so can bend the draft control fork. In order to get the draft control to function properly, you must properly adjust the draft and position control settings. 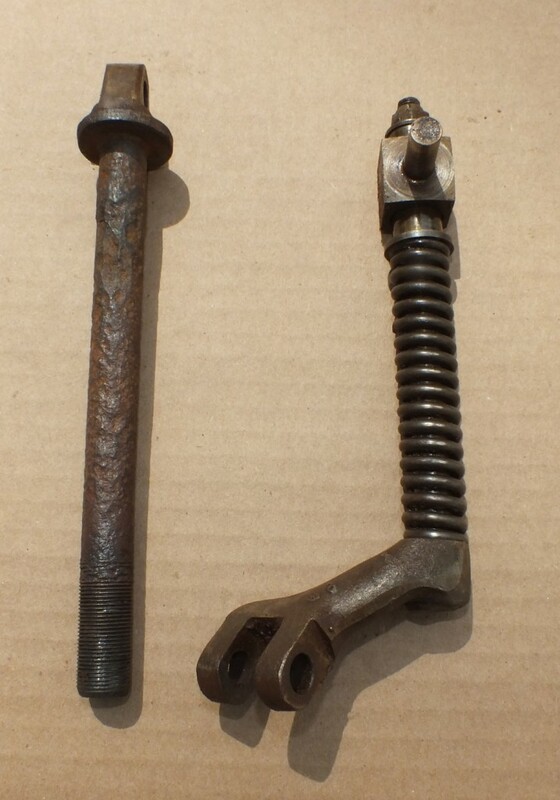 Replace the cam follower pin BEFORE doing so if you fine ANY wear. Yes, I am aware of such; however, you have to do what you have to do sometimes. I also read that the Ford manual says to saw the rod in half to remove and replace all. I know that you have to properly make adjustments. 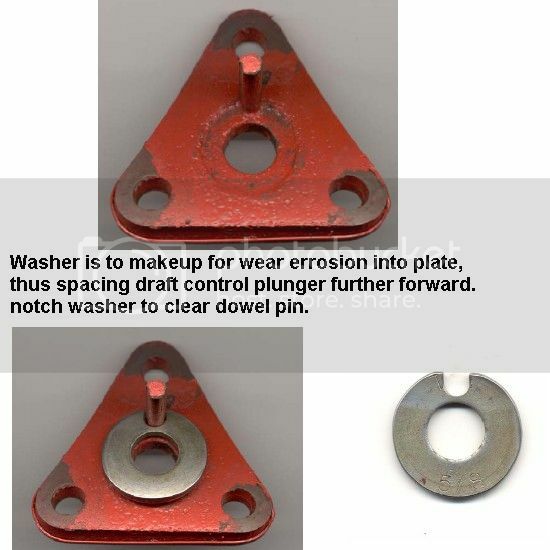 I also read that an excessively worn draft control plate can make it difficult to get a proper adjustment. I do have some automotive experience. I have overhauled several car engines, and have rebuilt several automatic transmissions and trans-axles; first learning under Dad and later working on my own. Maybe I should just move ahead and use my own judgment. Like on the cylinder, I am sure that the Ford Tractor division would have made the dimple as small as possible so maybe I should grind on the after-market cylinder and make it match the original; never got an answer on that. As for the plate, I wish my friend was alive. 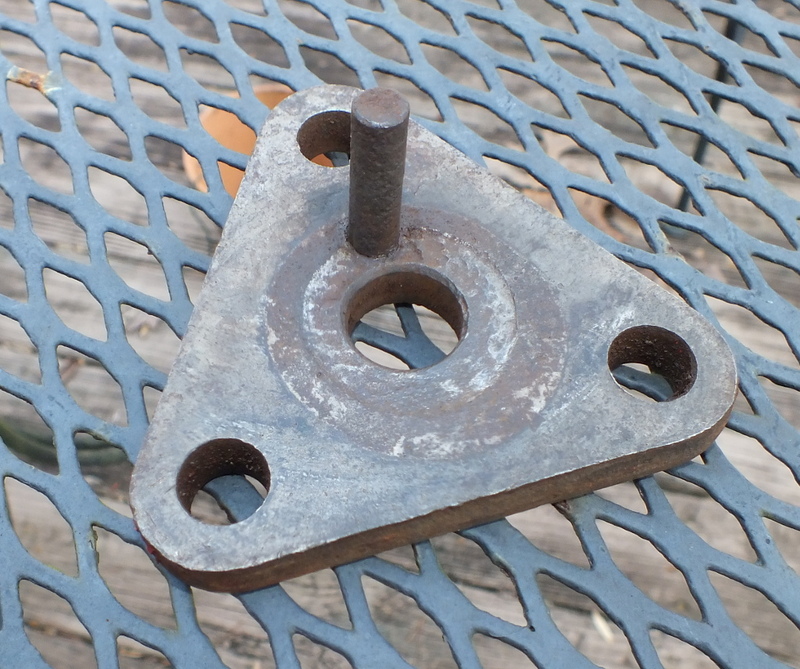 He could make one of those plates in short order, he was a machinist and had a Bridgeport mill in his basement. He made me a set of stabiliser bars one day out of some scrap stock left over from a job. I guess I should go ahead and order a new plate considering the wear on both sides and the heavy pitting on one face. I think they are over priced but when you need something you need it. I saw that plate listed at $32.00. Went to Just8Ns and it is only $14.95 plus shipping. OK, that is way better. Might poke around and see what else I might want to add to the order. I would not hesitate to use the plate pictured. Ditto. Don Barkley, who founded JUST8N's, was Dennis Carpenter's QC consultant when he first began repopping Ford Tractor parts, and Don is now retired, but his son Derek is the owner and runs the business today. It would be hard to find any other parts supplier who actually does wrenching anymore. 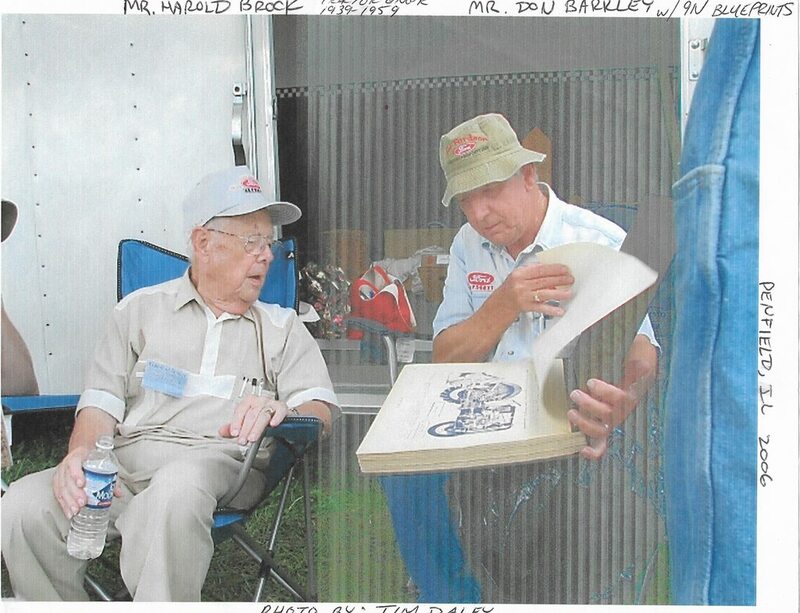 Here's a photo from the 2006 F/FCA in Penfield, IL where the late, great Harold Brock, who was the chief tractor engineer at Ford from 1939 thru 1959, going over Don's set of blueprints. This set was signed by Harold Brock as well.